For my first post on MCL (Squared), I thought I’d do a quick overview of some of my favorite vintage clothing websites and what pieces they’re selling right now that are great for fall. First of all, I’d like to share with you a new clothing website I recently discovered. The website sheinside.com is a wonderful collection of vintage creations – modernized – and sold for great prices. Being the vintage lover I am, I’m always looking for new vintage clothing brands that sell clothes at a reasonable price. And that’s exactly what She Inside is. The website ships from China and has special rewards for customers such as 20% off just for having your first purchase or for liking their Facebook page. You can read more about the rewards on the website. A majority of the clothes are one size as they are vintage, so you will have to check out the measurements before purchasing an item. 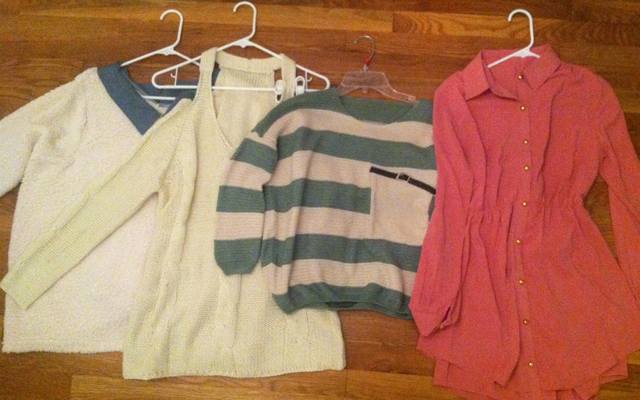 Recently I bought four items from the website: 3 sweaters and a dress for autumn. One sweater is white with blue trimming and a v-line collar that I simply adore. Another sweater is an off the shoulder v-neck, while the last sweater is adorably striped with an oversized breast pocket. The dress, however, happens to be my favorite piece from the website with a collar around the neck, buttons down the center, and slits down the back side in a sophisticated rustic red color. 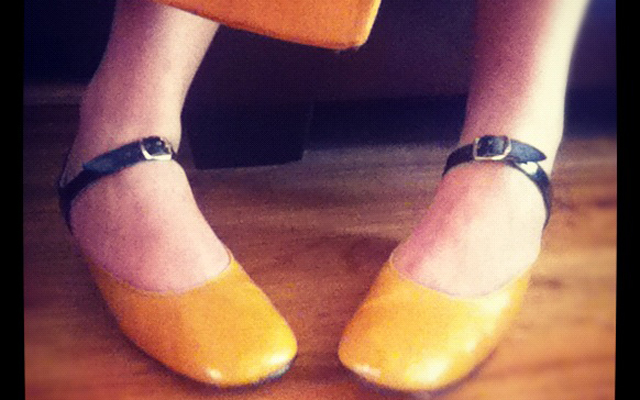 One of my favorite recent purchases was a pair of vintage La Rose Mary Jane style shoes from another great website, modcloth.com. If you haven’t heard of it before, now you have. Anyone who knows me knows that I have been slightly (if not more) obsessed with Modcloth ever since I found out about it a couple years ago. Modcloth provides you with vintage style clothing from all different brands and names. The shoes I bought are a little narrow (which is expected for vintage shoes) but are overall brilliant – and even managed to match my fall coat perfectly. Another website I’ve recently discovered and have made purchases from is nastygal.com – another vintage, bohemian-inspired clothing website. They also give free shipping on any order over $50 – a limit I seem to reach very quickly whenever making purchases from this website. 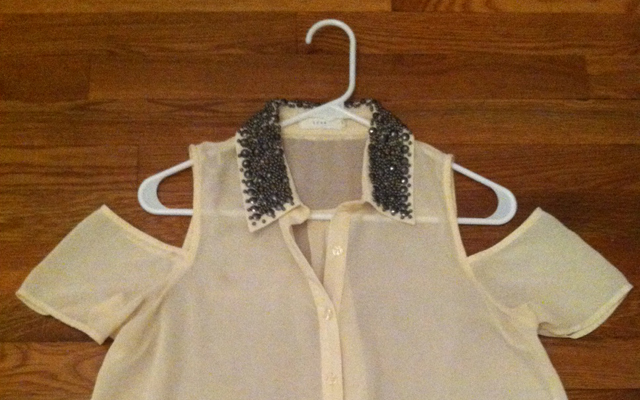 Recently from Nasty Gal, I’ve purchased a white, studded collar blouse with slits on the shoulders that I’ve received countless compliments on. I also bought an asymmetrical plaid skirt and a leopard shirt with a back that flows down to the floor – both of which I have yet to receive in the mail yet. I am waiting anxiously for them to arrive as you could imagine. I love the green stripes sweater. i bought it from SheInside, the material is soft and it looks exactly the same as the image. I love your article, thanks for your sharing some good site.